I'm recuperating from gum surgery, so today I'm reposting one of my favorite recipes -- one that I won't be able to eat for another two weeks! I can't enjoy it any time soon, but I hope you will! 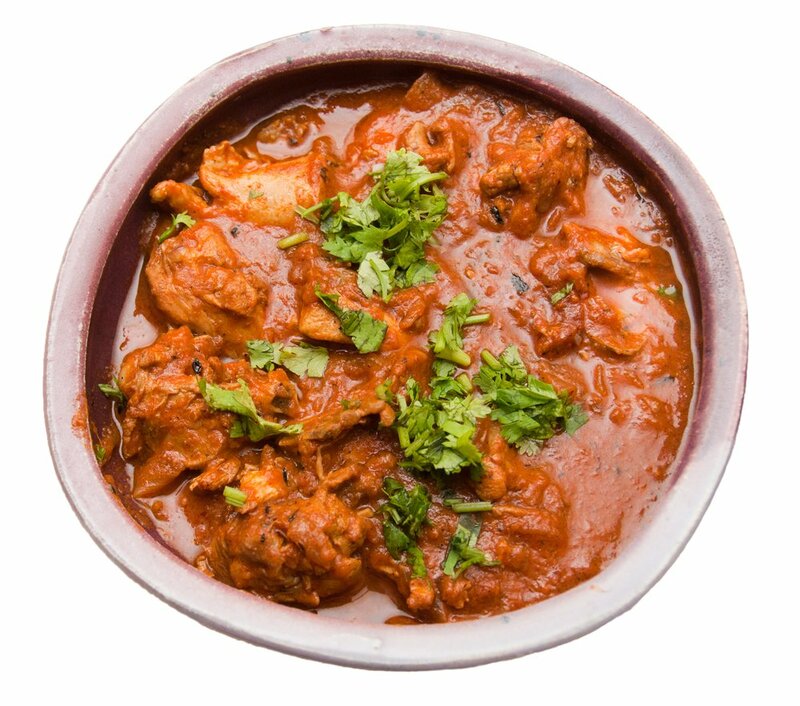 I've come to realize that people either love Indian food, or they hate it, because of all the exotic spices not normally found in plain old American fare. Then there are those who enjoy it, but their bodies can't tolerate all those wonderful spices. I fall into the category that absolutely loves Indian food! And it doesn't cause me any digestive issues. The recipe I'm sharing today is from Rebecca MacLary over at Paleohacks. It's the first Indian dish I've ever tried for the crock pot and it's extraordinarily delicious! In addition, it's easy to prep, and tastes just as good as the chicken curry you can get in an Indian restaurant. Hope this is something you'll enjoy! Take your crockpot and give it a big sloppy kiss because, believe me, it’s about to provide you with a life-changing gastronomic experience! Optional: Heat the coconut oil in your crockpot and add the Garam Masala and cumin seeds, gently heating them until they begin crackle. The idea here is to infuse the oil and gently roast the spices, so have the rest of your ingredients ready to throw in right away. Add the tomato paste, coconut milk, ginger, garlic, chilli, salt, and pepper, and mix thoroughly. Make sure everything is thoroughly mixed together and then cover, ready to cook. Now for the most difficult part, time to play the waiting game! Depending on your level of patience you can cook on a high heat for around 4 hours, or if you’re feeling particularly disciplined (yeah, right!) you can place your curry on a low heat and cook for 7 or 8 hours. Remove the lid and savor that wondrous, magical smell of the spice-infused coconut goodness! Serve up and you’re good to tuck right in! Do you like Indian food? Thanks for visiting and have a great week! I love your crock pot recipes, Maria! I can see that being quite spicy. @Norma: Thanks, Norma! This is a family favorite;). @William: It's very spicy, but you can turn down the heat by leaving out the chili and using less Garam Masala.